Announcement Welcome to ToharDesign shop - unique & intricate boho style wooden art and home décor. 15% OFF When ordering $300 or more! WHOLESALE orders are available too! Please convo us for additional details. 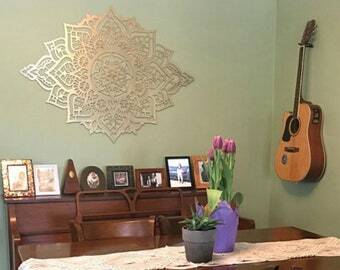 In my shop, you will find a variety of mandala wall décor, lighting, unique toys for kids and other home designs in a wide range of colors, shapes, and sizes. 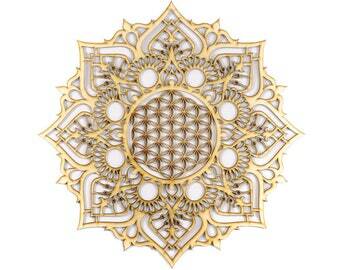 All our creations are handcrafted by the owner and designer Tohar Lauffer. Are you looking for a special gift for a friend's new home? Do you think about a unique color combination for a mandala? We are currently working on a new line of lamps and unique products for kids! 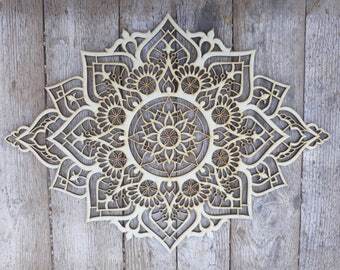 Welcome to ToharDesign shop - unique & intricate boho style wooden art and home décor. Just gorgeous. 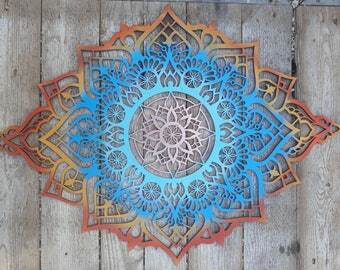 I love the wood mandala sculpture. I love that the wood is light and not heavy. 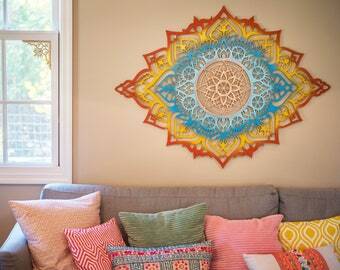 So pretty and tasteful for my home. Thank you! So beautiful. Seller was so great to us and really helpful. We requested to have ours painted solid gold and we are very happy. We had a bit of a problem with the first one we ordered and the seller took care of the problem super fast and was very understanding and polite. She was great all around, and we love the product. SALE! 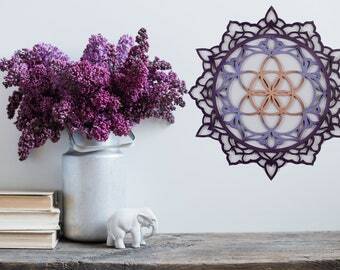 15% off MOTHERS DAY Mandala and wood decor by Tohar, beautiful bohemian home decor, now on a special sale! I have always loved making handcrafts. Ever since I remember myself- crafting was my way to find peace, serenity and beauty. Last year, with the birth of my third daughter, my dream came true. My hobby turned into a career. I took my papercuts and drawings and laser cut them on wood. The results were astonishing. 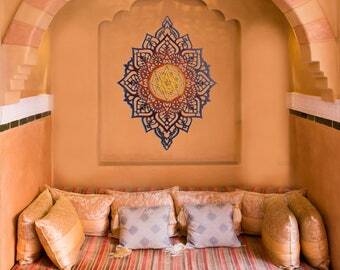 My original designs became spectacular wall décor, delicate and refined wall embellishments. 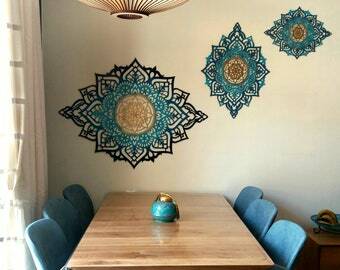 This unique wall jewelry adds magic to any kind of living space. I quickly discovered that these wooden creations are very popular and that people from all over love my art. I decided to take it up a notch and open a small and lovely shop in an artist market in town. 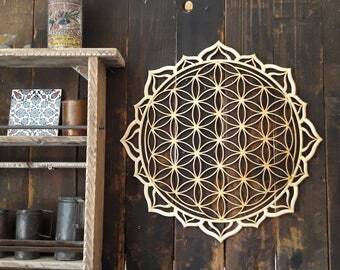 My new shop has become a colorful art gallery of unique mandalas and wooden home décor in all shapes and sizes. These days, ToharWoodDesign is a reliable, high quality, small family business selling a variety of wooden art décor designed by me- Tohar. 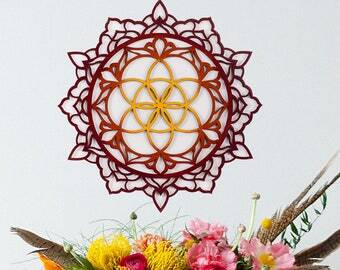 The laser wood cutting and the hand paintings are all done in our studio with a lot of love, joy and passion. The beautiful final products are displayed in our gallery shop and on our online Etsy shop. Hello! 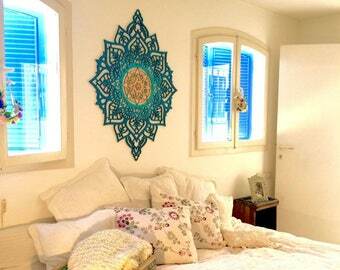 I am Iris Mishly, a happy Etsy seller and a technical assistant in Tohar's beautiful shop. 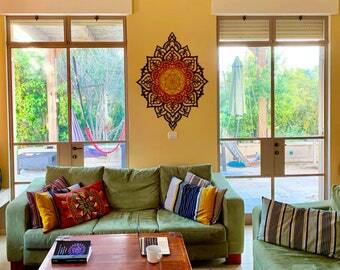 Hello, My name is Sivan and I am ToharWoodDesign assistant with administrative issues. To fulfill your order, you must provide certain information (which you authorized Etsy to provide sellers), such as your name, email address, postal address, payment information, and the details of the product that you’re ordering. Your phone number may also be needed for certain shipping services. You may also choose to provide me with additional personal information (for custom orders, for example) if you contact me directly. No personal information is transferred to any other use other than described above. You have the right to receive a copy of the personal information. Change, restrict the use of or delete your personal information (Absent exceptional circumstances for legal reasons). Object to the processing of some of your information based on my legitimate interests. Object to receiving marketing messages after providing your express consent to receive them. By using my contact information below. If you reside in the EU and wish to raise a concern about the use of your information (and without prejudice to any other rights you may have), you have the right to do so with your local data protection authority. How can I pay with credit card via PayPal? How and when can I use your coupons? ToharWoodDesign coupons can be used all year long APART from during sales. I will not be able to accept coupon codes during sales or on sale items. All items are packaged in bubble wraps and Cardboard boxes. Please make sure that the address you have listed on Etsy is correct - this is the target address. Packages returned to us, due to a wrong address (or no claim) will be reshipped with additional shipping costs. If you change the address before getting your shipping notice - please make sure to update us. If you change the address after shipping notice, please make sure someone at the old address will pick up the package. We cannot be responsible for lost packages due to address change. If shipping is done to your workspace, hotel or any other public location - Although we will do our best to assist, we cannot be responsible for any delay or lost packages. All items will be shipped with a tracking number, by International insured Registered Airmail. Processing time is specified within each listing and will begin after the payment has been fully received. Listed ship time is only estimates and not guaranteed, all highly depended on the postal services. For expedited shipping: You can upgrade to express shipping service, which takes 4-5 business days at additional cost. Shipping upgrades are available for selection in your shopping cart. Please send your phone number in the order notes or in a Convo. NOTE: According to Etsy's policy, buyers are responsible for all charges that are applied in their country when they are ordering from abroad. This includes VAT, customs, import taxes etc. If any problem arises, please contact us and we will find a solution. please do this BEFORE leaving a review. Unless item arrived damaged - buyer is responsible for returning items in their original condition and all return shipping costs. Custom or personalized orders can’t be returned, however, if such an Item arrived damaged or defective, please contact me within 7 days of arrival and I will accept its return. (no notice by post/customs fees/your country taxes/changing your mind/other) the shipping cost will not be refunded in any case. To resend your order we will charge the shipping price.